J.K. Rowling has something new to announce. This is not a new book, but it is something equally exciting. As a teaser before the official announcement, ten letters have been hidden on this website for you to find. To locate them you just need to enter ten individual coordinates in the search box and explore. The coordinates are being revealed among ten Harry Potter fan sites throughout the 15th and 16th of June 2011. Find the correct sites and you could be one of the first to piece the word together. Of course, with news of possible new material from Rowling, it didn’t take Potter fans long to crack the code: the ten letters spell the word “Pottermore”, and is the name of Rowling’s next project. That is the million dollar question, and one that will not be answered until June 23, when an official announcement is expected to be made, according to the following video, which is now posted on the official YouTube site. In addition to the website, you can now follow Pottermore on Twitter and on the Facebook page. With the final film, Harry Potter and the Deathly Hallows – Part 2, less than a month away from being released in theaters on July 15, most Potter fans are welcoming something, anything new that has anything to do with the wizarding world. And it looks like they’ll get their wish. Here’s one of the “unoffical” photos that was posted on the Facebook page yesterday. 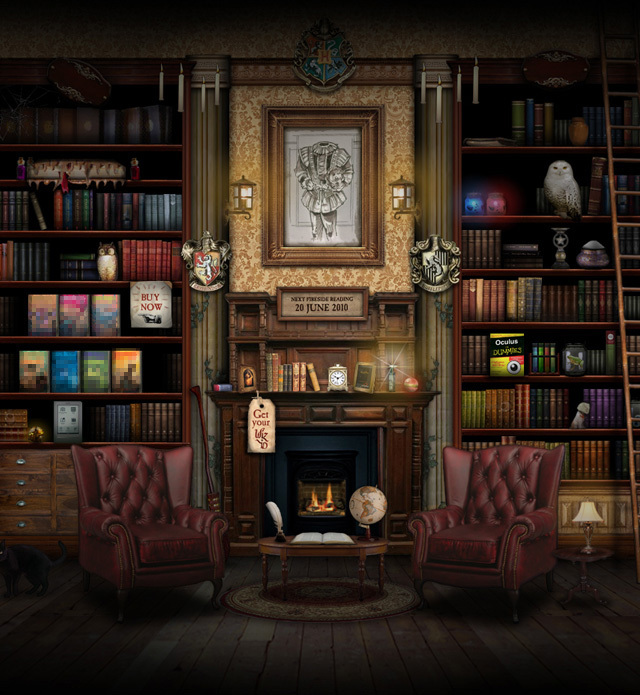 What do you think Pottermore is?